Brandt acquires Camex Equipment Sales & Rentals Ltd.
Regina, Saskatchewan ­– The Brandt Group of Companies has announced that effective November 1, 2018, they have acquired Camex Equipment Sales & Rentals Ltd. of Edmonton, Alberta. This deal represents an important expansion for Brandt into the specialty transportation equipment industry. 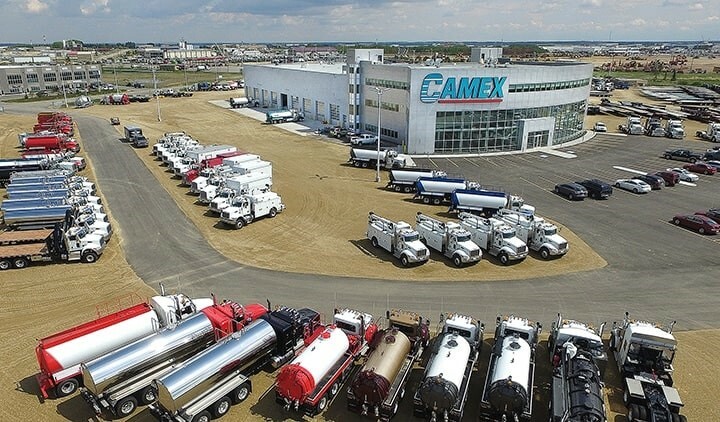 The Camex name (C – Canada, A – America, MEX – Mexico) has been synonymous with excellence in custom truck rigging and on-highway specialized trailers for over 25 years. Camex products are in demand across North America and the company is a leader in the oil & gas, mining, pipeline, infrastructure, municipal and environmental sectors. The result of this acquisition is a new Brandt Group of Companies division called Brandt Truck Rigging & Trailers. This new division carries on the proud Camex tradition of supplying premium-quality specialty transportation solutions for industry. The Camex name lives on as a product brand for the specialized transportation equipment that the company manufactures, rents and sells; continuing to deliver the outstanding dependability and performance that customers have counted on for over 25 years. The Camex staff, with its outstanding reputation, dedication to excellence and track record of superior service in the industry is a strong addition to the Brandt team. As a result of this acquisition, Canadian companies will now enjoy one-stop access to Brandt and Camex’s combined lineup of products and services and unmatched customer support infrastructure at the current Camex location as well as at Brandt branches across Canada. This acquisition includes three buildings – a 71,000 sq/ft sales and service facility and two others – totalling 150,000sq/ft, situated on a 26-acre property located at Hwy 16 and Hwy 625, near the Edmonton International Airport. The deal with Camex officially closed on November 1, 2018.